Everyone loves simple solutions to life’s complicated problems. 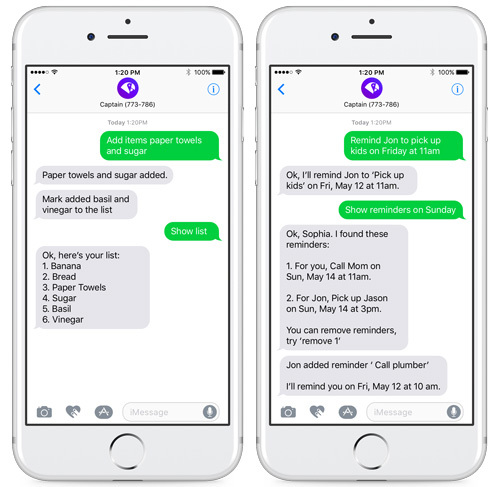 And when it comes to keeping your family’s shopping list organized and making sure everyone gets done what needs to get done, the new Captain bot from Yahoo is a tailor-made solution. 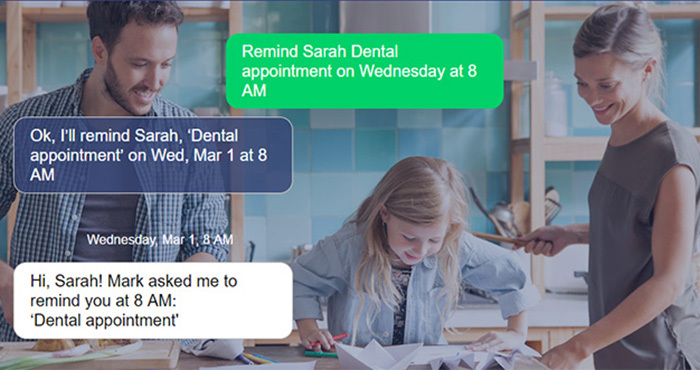 Captain integrates seamlessly with your text messaging service – no need to download an app, and you don’t even need a smartphone to use it (which makes it perfect for busy families with feature phones). Once you and your family members are connected to Captain, everyone can add items to the shopping list simply by texting Captain, then pull up the shared list whenever they’re at the store so nothing gets forgotten. When you do purchase something, you can easily remove it from the list. Just text remove and the item number. And the next time anyone texts “show list,” it won’t be there. Reminding family members (and yourself) when they need to get things done is just as easy. Text Captain to remind your spouse to “Pick up the kids today at 4pm after baseball practice” or your daughter to “Start SAT prep at 6pm on Thursday” and they’ll get a text message notice when the time comes. You can also set recurring reminders so your son never forgets to walk the dog before dinner. All with no need for shared calendar apps on your devices. To give Captain a try, just text “Hi” to 773-786 – nothing new to download, no passwords to remember, and it’s completely free (carrier text messaging fees may apply). Captain will text back setup instructions, including how to add family members, and you’ll be up and running!